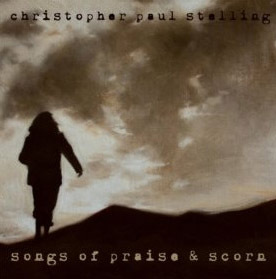 Songs of Praise and Scorn may be the title, but Christopher Paul Stelling starts the album with the sorrowful “Mourning Train to Memphis,” a song about a journey to see someone who’s dying of cancer. It’s emotional and powerful, as are most of the songs on the record. The singer-songwriter is accompanied by his guitar, some light percussion, and backing vocals resulting in folk music that is beautiful in its simplicity. The addition of a violin on “Ghost Ship” makes it evocative and the slightly discordant harmonies in “Poor Leviathan” make it even more haunting. When Stelling howls “Swear I’m not a bad person” in the song “Strange Darkness,” it’s as if he’s reaching deep into his soul for the sound – and it will likely touch your soul, too. With its strong storytelling and simple artistry, Songs of Praise and Scorn will easily find a place in a folk lover’s heart. Would you like to experience Songs of Praise and Scorn for yourself – and even better, on vinyl? Leave a comment below telling us the most prized vinyl you have in your collection and you could win!